Realtors are excellent marketers in a person-to-person environment - You’re incredibly brilliant at getting to know your clients, getting involved in your community and connecting with your local market - While social media scares many realtors. Social media provides ways to further connect with your local clients, groups, and boost your real estate marketing efforts. Social media can help build trust, and spread your marketing through friends of friends. It is a free tool that gives you exposure beyond your current reach and it is not difficult to master. 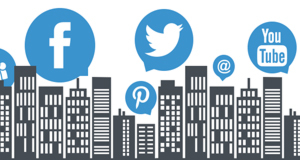 At News4Realty, we are strong advocates for social media for realty. In this article we introduce a few tips to help you use social media platforms to attract more clients and sell more homes! Facebook is ranked at the top of social media platforms for popularity. Users log onto Facebook to connect with family and friends. But now, big-name brands are leveraging the power of Facebook to expand their customer pools and reach consumers in new ways. You must have a professional photo on your page, and should make at least one post every day with relevant information regarding trends in real estate. Feel free to post about your success stories. Talk about events occurring in your neighbourhood and show that you truly care. Twitter is a tool which you can use more frequently throughout the day. You are limited by 140 characters hence your posts have to be direct and engaging. Your tweets should link back to your website and use engaging online content. Keep clients informed by tweeting about local news. Good stories, such as a new school being built, local charity events, or shop openings, show how great the area is and how well you know it. Tweet questions to engage followers. Use relevant hashtags so people can find your posts easier. Retweet the answers and replies to further interact with followers and promote consumer loyalty. Twitter allows you to tweet at specific people. Use this feature to keep in touch with clients. Congratulate a new homeowner, thank a local business for lending a hand, or promote a cool new home décor boutique. Add captivating photos to your tweets, pictures draw attention and are much more powerful than catchy phrases. LinkedIn is a social networking platform where professionals connect. It is your professional profile, be sure to introduce yourself, provide a thorough summary, and highlight your knowledge and experience. Keep the posts to roughly once per day. Join groups that cater to your profession and interests. Keep yourself relevant by participating and sharing interesting articles or news stories. As a real estate agent, it is important to stay on top of trends and techniques in order to efficiently promote yourself and attract new customers. Use social media to drive traffic to your online blog or website with engaging content that help you build a solid and long-lasting relationship with your clients. Follow the 80/20 rule. 80 percent should be lifestyle and a 20 percent can be your sales related posts, but more importantly, your content has to be captivating.